Today, nationally recognized trial attorney Brandon Burton leads our team of dedicated, seasoned associates. Working together, we promise to do whatever we can to help you protect your rights, preserve your entitlements and increase your chances of obtaining the favorable outcome you expect and deserve. Over the course of our history, our law firm has recovered over $100 million in total compensation for our plaintiff clients, and we have grown to include three total offices in the state, so you can find convenient access to the exceptional representation you need during this difficult and uncertain time in your life. As further evidence of our success, our attorneys have received numerous awards and honors, including AV Preeminent peer review ratings* from Martindale-Hubbell and "Superb" client ratings on AVVO. 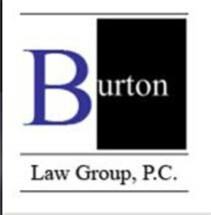 To find out more about all we can do for you here at the Burton Law Group, we invite you to call our law office or visit our website to schedule a free initial consultation.